Great Divide is an album that may be appealing to pubescent girls with a Kerrang subscription but ultimately sounds bland, rehashed and forced. For Twin Atlantic, this will be the great divide between being a fresh rock band that has something to say and being just another mainstream radio rock act with no heart and soul. 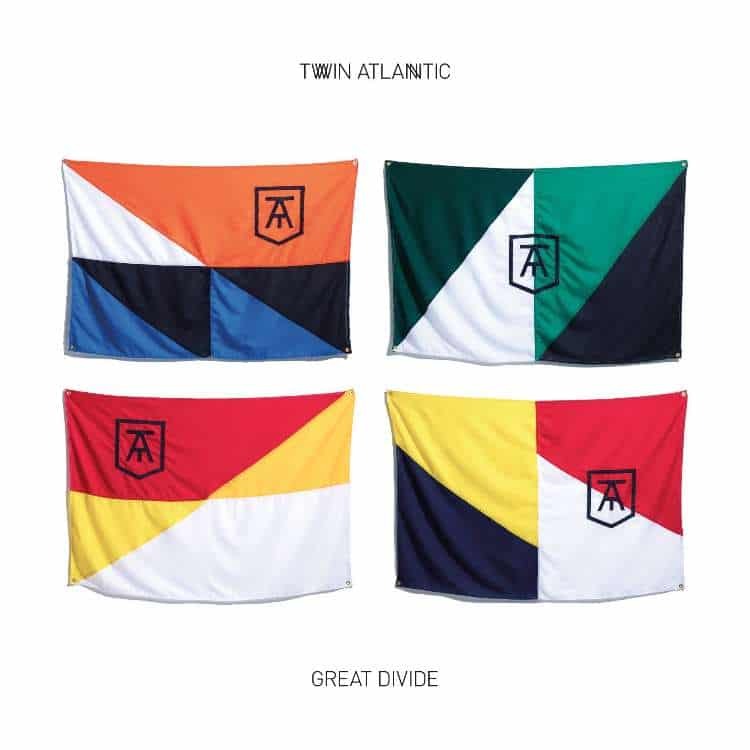 Great Divide is the second album proper from Scottish four piece Twin Atlantic. They released a mini album, Vivarium, in 2009 and their debut album Free followed in 2011. 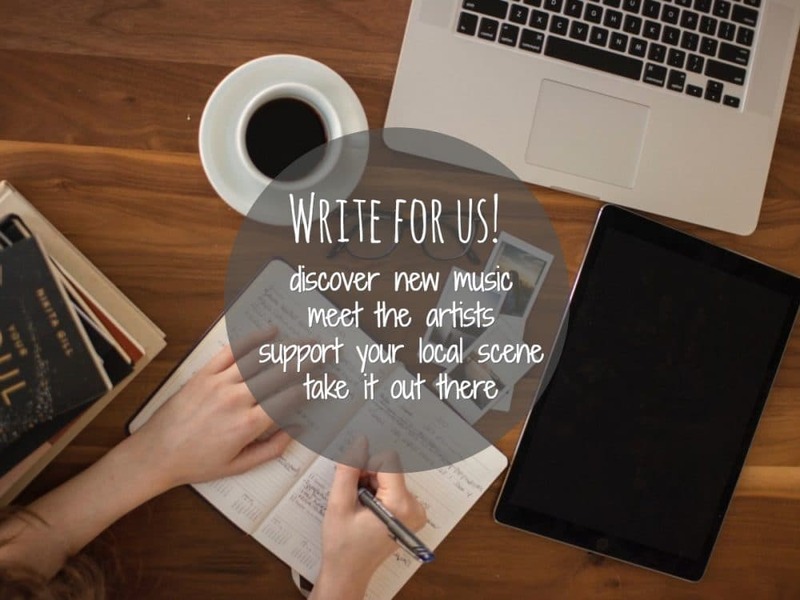 Free had become a decent success and catapulted the band from playing club shows to sharing stages with Bruce Springsteen and Foo Fighters or opening for 30 Seconds To Mars. Most of Great Divide was written on the tour bus while the band was still touring Free and is the result of a band that has tasted blood. “Our aim was always to make songs this size,” says vocalist Sam McTrusty. While it was the songs on Vivarium and Free that enabled them to play to bigger audiences, a success that was well earned and deserved, Great Divide is a record for the masses, made for mainstream appeal. Before the record unfolds its full potential, it starts quietly with a cheesy piano driven intro track (The Ones I Love). Twin Atlantic always had a knack for writing ballads (Better Weather, Crash Land, Yes, I Was Drunk) but this song suffers from the same lyrical weaknesses and lack of musical imagination that constitute the remainder of the album. It’s not like Twin Atlantic were poets before but I usually found their lyrics easy to relate to and memorable but on this record lyrics are no more than accessory. The ballads are full of teenage truisms such as “Hold on, you can be strong” (Hold On), “There’s nothing wrong with being a dreamer” (Brothers and Sisters) or “Music is my therapy” (The Ones That I Love) while the upbeat tracks are full of nonsense phrases like “I flick the switch on the generator, so I can turn you on” (Heart And Soul), or “Yeah, yeah yeah, I’m the only one, I’m a loaded gun” (Fall Into The Party) or “Don’t let me down from so far away, cos’ I’m your cell mate” (Cell Mate). I’m finding it hard to believe that this is the same band that wrote Crash Land or Make A Beast of Myself. The lead single Heart And Soul boasts of stadium-sized rock. Not that there’s anything wrong with stadium rock as such. We Will Rock You and We Are The Champions, though controversial when they were released, turned into Queen’s best known hits. The problem with Heart And Soul is not that it’s controversial but that it pretty much plagiarizes Deaf Leppard’s Pour Some Sugar On Me, Whitesnake’s Here I Go Again or Joan Jett’s I Love Rock N Roll. Most of their audience will be too young to know any of the above but they will recognize the likeness to One Direction’s Midnight Memories that rips off the same songs. Hold On sports a super-sized pathetic chorus that sounds like straight out of a You Me At Six song. I Am An Animal and Fall Into The Party are upbeat songs about partying and drinking, not that I mind either but does the world really need another song about being slushed and stupid? If you don’t put too much weight on the lyrics though, both songs are decently enjoyable. Actions That Echo has been part of their live repertoire for a while and is as such closer to their previous record Free than anything else on Great Divide but unfortunately not enough to redeem the quality of the album as a whole. Brothers And Sisters and Oceans are two very similarly bland tracks about missing loved ones while Be A Kid reminisces about being a kid forever and not having to worry about money or working like a slave. I wonder if that’s really something Twin Atlantic need to worry about. All the while I was listening to the album I couldn’t help but feel that I’d already heard it a hundred times before. After a couple of spins, the record left no lasting impression let alone highlights, it’s all the same radio-friendly mishmash. In the end, there is nothing memorable about this record apart from Sam McTrusty’s signature Scottish accent. As the album ends on a pensive note with the somewhat political Why Won’t We Chance? it leaves my wonder, Twin Atlantic, why did you change? McTrusty claims in the press release that the band had learned “to make music that connects with fans which is always honest, never forced” and was inspired by opening for Bruce Springsteen. Great Divide is but a feebly attempt at Springsteen’s anthemic rock. 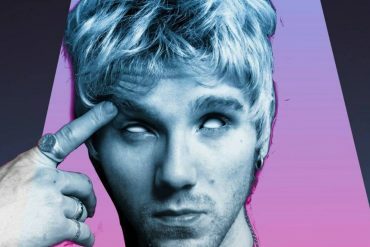 Unfortunately, the band has decided to follow a hit composing formula rather than their better judgement and released an album that may be appealing to pubescent girls with a Kerrang subscription but ultimately sounds bland, rehashed and forced. 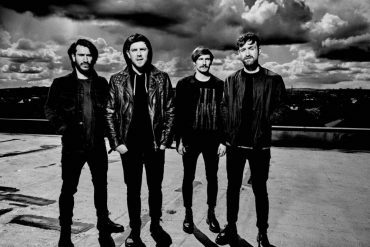 For Twin Atlantic, this will be the great divide between being a fresh rock band that has something to say and being just another mainstream radio rock act with no heart and soul. Great Divide is an album that may be appealing to pubescent girls with a Kerrang subscription but ultimately sounds bland, rehashed and forced. Great Divide is out on August 18th via Redbull Records.